The Free I.T. Athens crew is pumped to be a part of the 2017 Green Life Expo. The Athens Clarke-County Recycling Division and the Athens-Clarke County Library have teamed up to educate our community on how to shrink our carbon footprints while saving natural resources. There’s going to be all sorts of family friendly activities: a petting zoo, workshops on everything from felt soap making to prescribed grazing, a delicious food truck, and of course, the Free I.T. Athens information table! We’re also going to have the truck out in the parking lot to take donations too, so if you’ve been meaning to get rid of all those old computers in your garage, now is the time to do it. 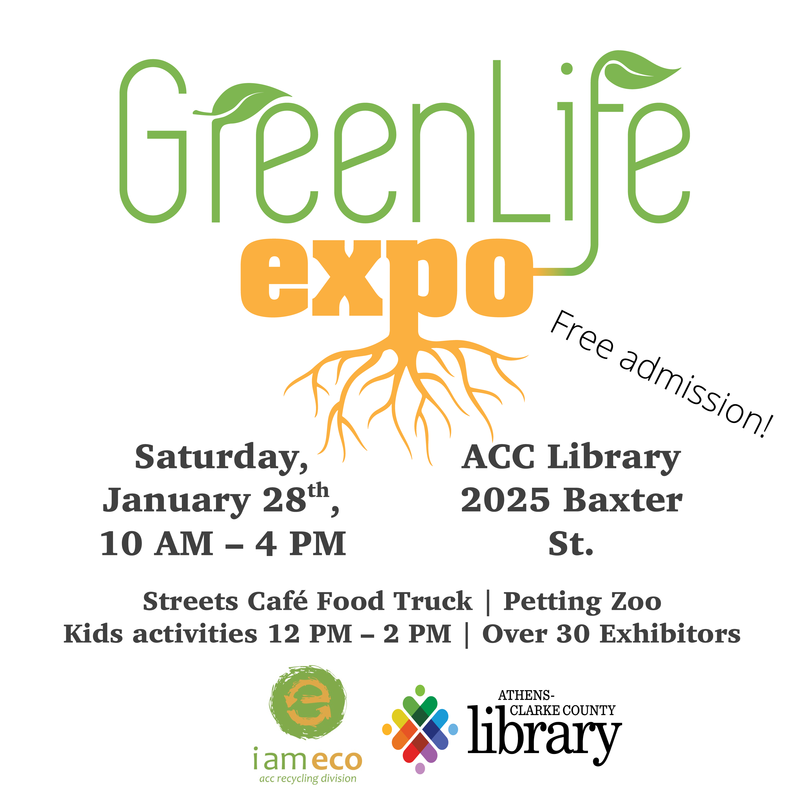 The Green Life Expo is going to be held Saturday, January 28th from 10a-4p at the ACC Library on Baxter St. There’s no cost for admission, so come say hello and learn a little bit about how you can help reduce e-waste! Learn more about the event over at The Green Life Expo Facebook page. Previous PostMonitor Sale!Next PostSaturday Hours and More!